Scientists at the NASA Ames Research Center in California have discovered that the red planet is in fact covered with toxic chemicals capable of wiping out living organisms. This discovery has extensive implications for the hunt for alien life on Mars and suggests that missions will have to dig deep underground to find past or present life if it exists. This conclusion stemmed from the discovery of powerful oxidants known as perchlorates in the Martian soil. Since NASA's Viking lander missions 40 years ago, hints of perchlorates have shown up in tests, but this was recently confirmed by the agency's Phoenix lander and Curiosity rover. Tests done on Earth using perchlorates similar to the ones found on Mars in the presence of Bacillus subtilis (a common soil bacteria) showed that the bugs were wiped out twice as fast when perchlorate was present. 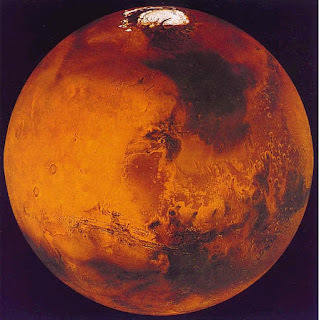 Further tests found that the UV rays present on Mars broke down the perchlorates into other chemicals such as hypochlorite and chlorite which are also destructive to bacteria. Another round of experiments discovered that the presence of iron oxides and hydrogen peroxide contributed even further to the toxicity nature of the environment. When bacteria were hit with UV rays in the presence of perchlorates, iron oxide and peroxide, the bugs died 11 times faster than with just perchlorates present.